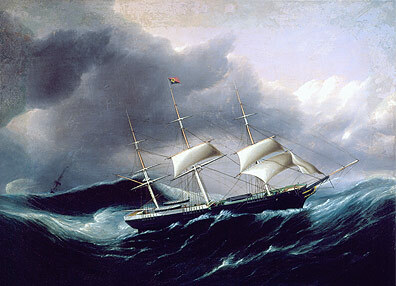 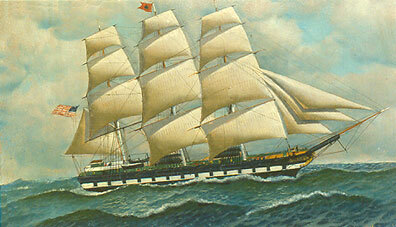 The Nabraska (sic) Nebraska was one of hundreds of packets (ships operating on schedule) sailing the Atlantic before the Civil War. 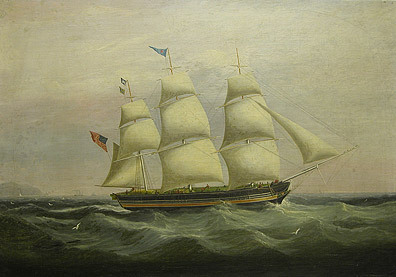 She was built in Newburyport, Massachusetts in 1845, for New York owners, and sailed to Liverpool that year and to Marseilles in 1847. 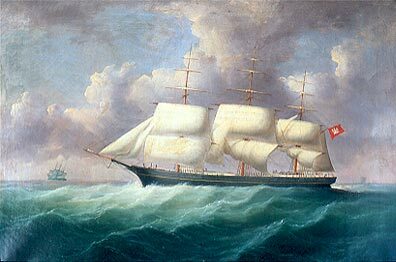 She made at least one trip to China (1850), and like many packets, she switched to the southern cotton trade and was lost off Texas in 1857.